Good morning! 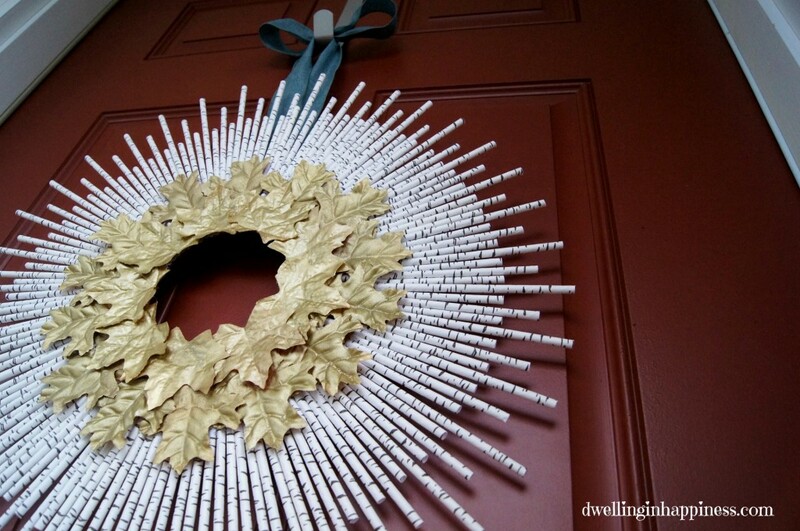 I feel like the last person in Blogland to actually get a fall wreath made for my front door. Usually these sorts of things are done BEFORE the season is actually here, but I kind of failed on that one. And fall is definitely here, in all its glory. Just this last weekend it was sunny and 85 degrees; a few days later, it was 57 degrees and raining. Even I have to admit, seeing lots of leaves on the ground and all the pretty colors has me a little excited. I start thinking of all the holidays coming up, boots, scarves, flannel blankets, fireplaces, soup; ohhhh I could go on and on! I’m ready, so bring it on! But, I digress. Back to my fall wreath! 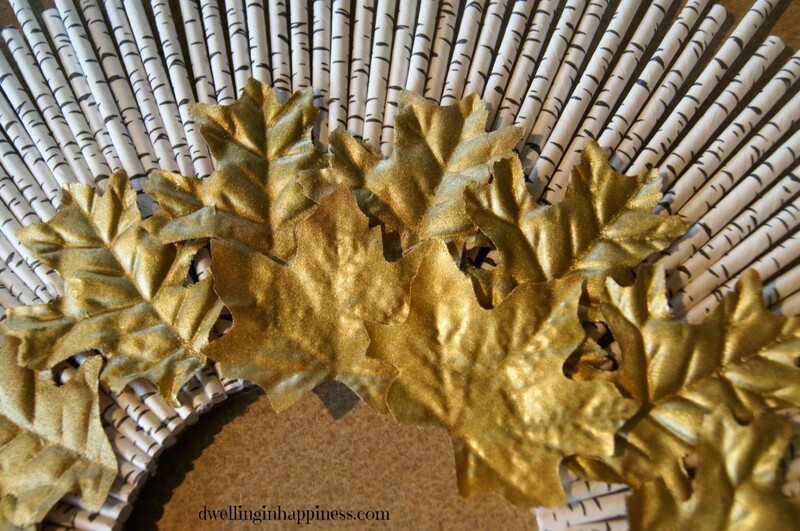 You didn’t actually think I’d make a wreath for fall and NOT use gold in it, did you? You’re going to be real sick of gold soon, if that’s even possible! 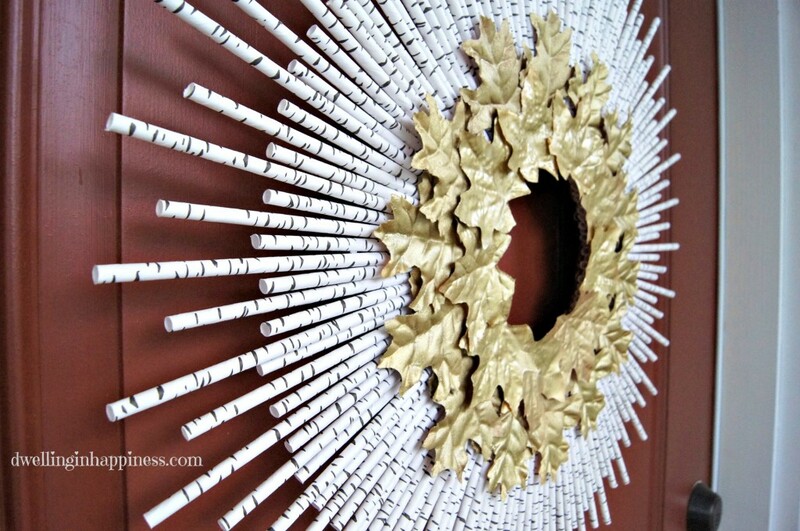 So, I saw a paper straw wreath on Pinterest not too long ago, and thought it looked SO neat. I wanted to make one too, so I got on Amazon and looked for straws. 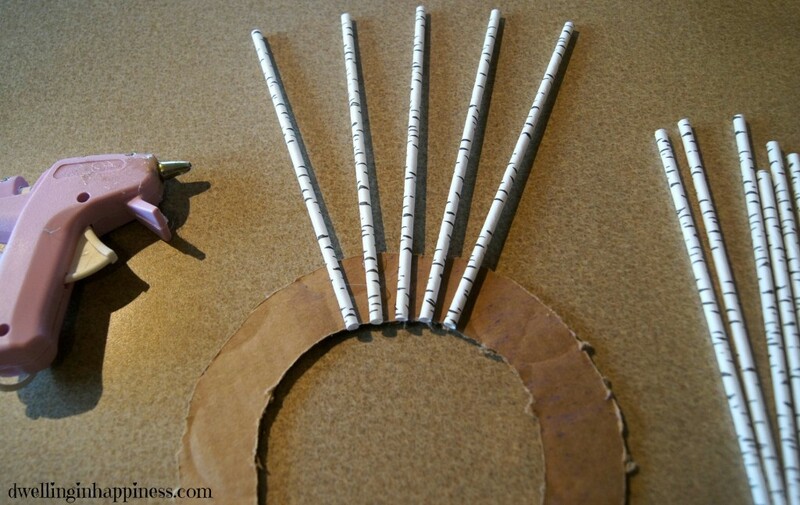 I came across these amazing birch tree straws and I just had to have them for my wreath! They were only $7 for a box of 144; a great deal. The wreath itself isn’t hard, just a little time consuming. I managed to finish it in one day while my daughter took her naps. 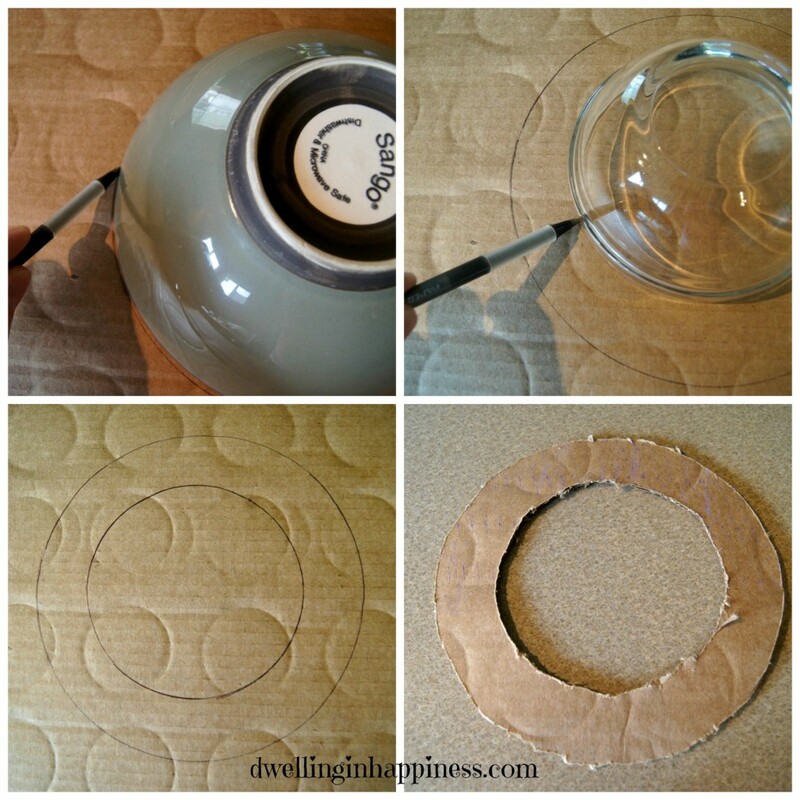 I started out by using a couple of different sized bowls to trace circles on my cardboard. You can make it any size you want, depending on how big you want your wreath. I used an Xacto knife to cut it out. And it doesn’t have to be perfect, it’s going to be covered anyway! 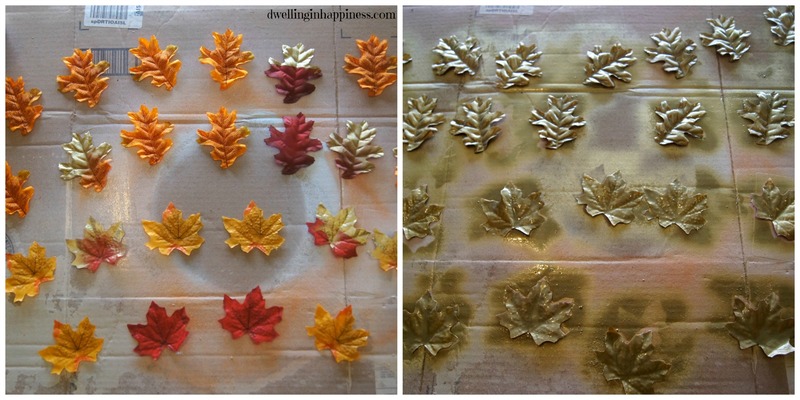 Before you start gluing straws, spray paint your leaves gold so they can dry while you glue. 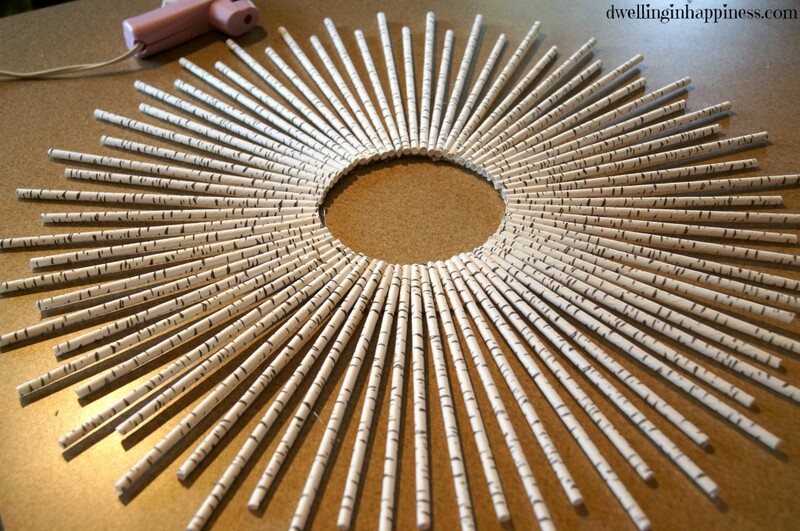 Then, start taking straws one-by-one and gluing them to the cardboard ring all the way to the inner edge, leaving a little bit of space in between each straw so you can glue more later. 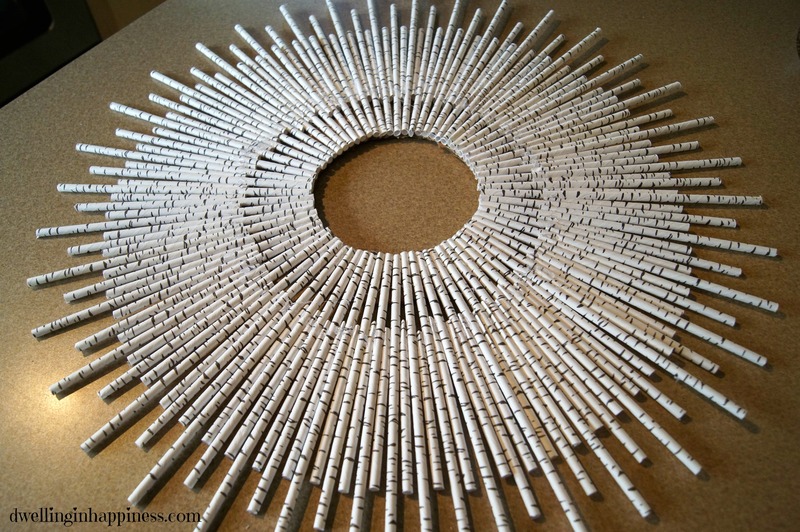 It took 37 straws to do the whole ring. 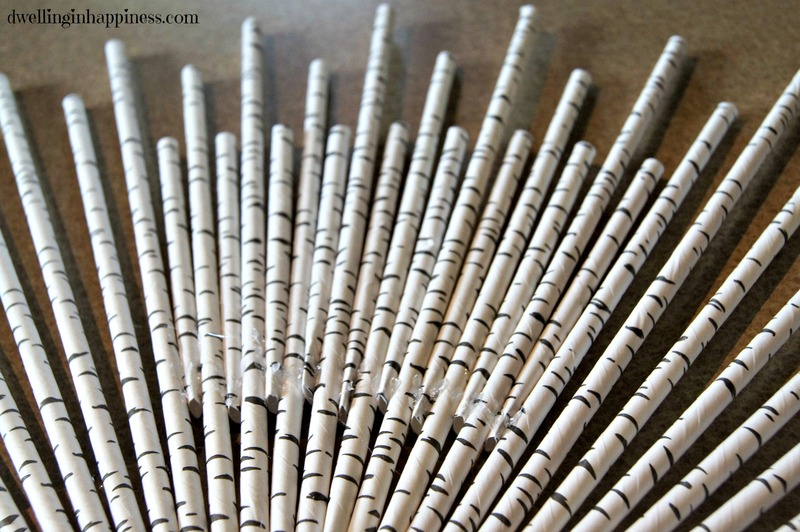 Now, hot glue the shorter straws to the cardboard between the full length straws all the way around. 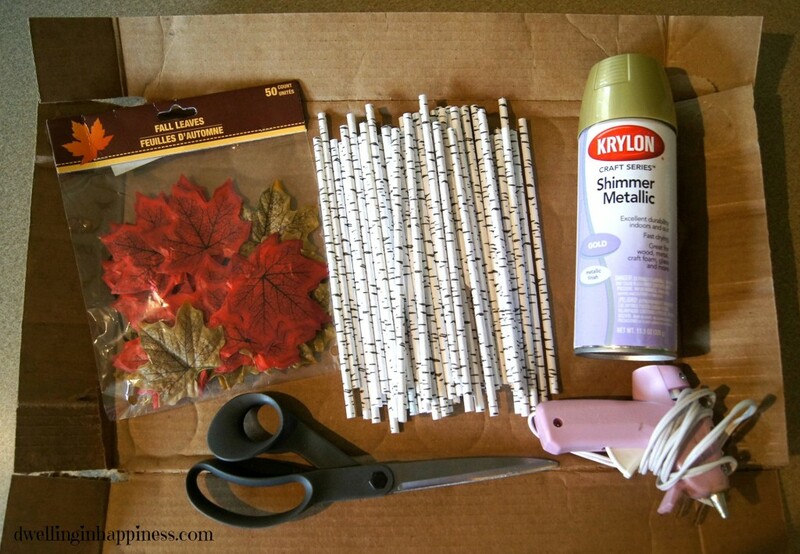 Don’t worry about the glue stringys, they’ll be covered up by the leaves! The last part is the most tedious. I forgot to count how many straws it took, but I assume 37ish more. 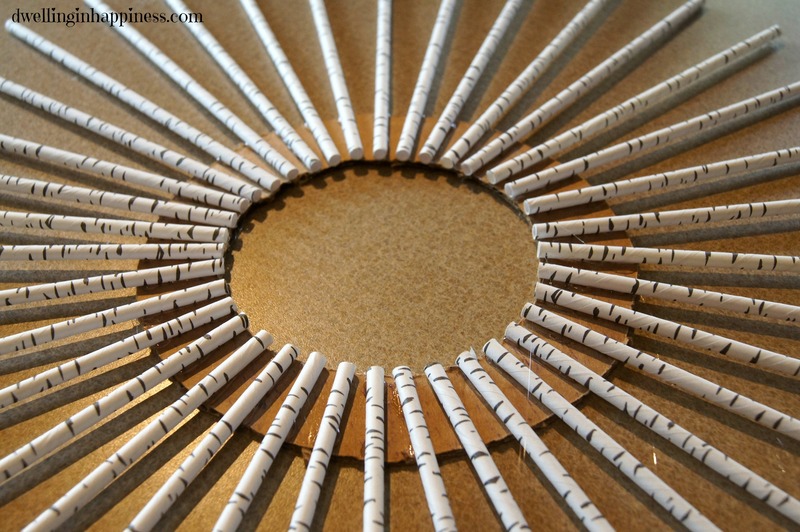 You can also leave your wreath as is if you want it less full, but I wanted more of the straws to show so I cut straws in half and glued them in-between each straw like in the picture. Again, don’t measure, just eyeball where half is and cut! Some didn’t fit well so I just flattened one end, and put glue on either side to stick in between straws. This will NOT look pretty with glue all over, but I promise you won’t see it by the end once you glue the leaves on top. 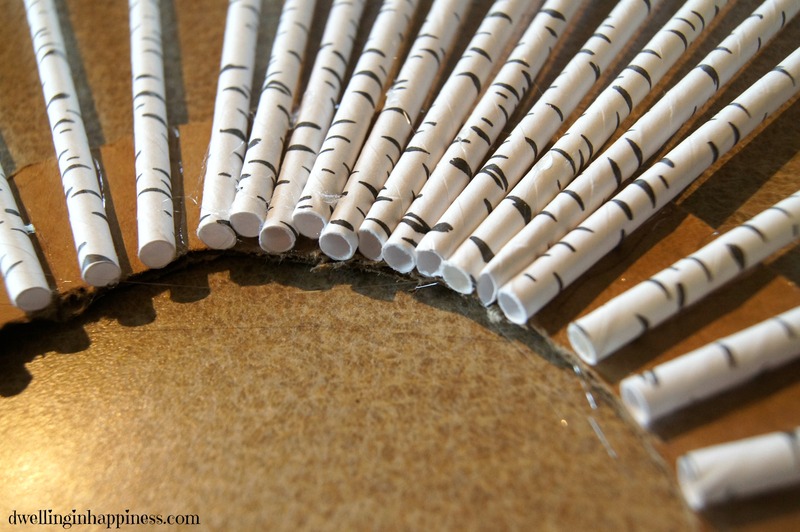 Go all the way around, making sure the short straws are glued between the other straws well (they won’t be on the cardboard, so you want to make sure they stay!). After they are all glued and if you haven’t burned your fingers off yet, it’s time to glue the gold leaves on. I glued the first layer on and overlapped them a bit, making sure to put them high enough that they cover any dried glue from the straws. I did the same with the second layer, overlapping each leaf and making sure to glue them in a little bit from the center to hide the edges of the straws. I used a teal wired ribbon that I tied into a bow, and glued on the back of the cardboard. Woohoo! A pretty and unique fall wreath to (finally) dress my front door with! Because it’s pretty dry here where I live, I’m able to hang it outside. Our porch is also covered so it doesn’t get wet. 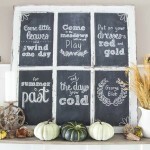 If yours does, you can always put it on an inside wall over a mantel to liven up your fall decor! I really like how the gold leaves pop against the straws, and the contrast of the teal ribbon. 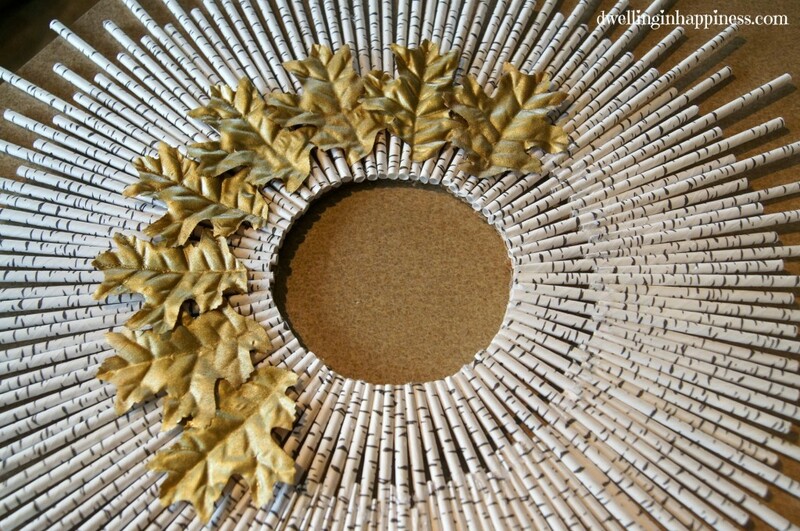 Do you have your fall wreath up yet? oooh, Amanda, I love this! 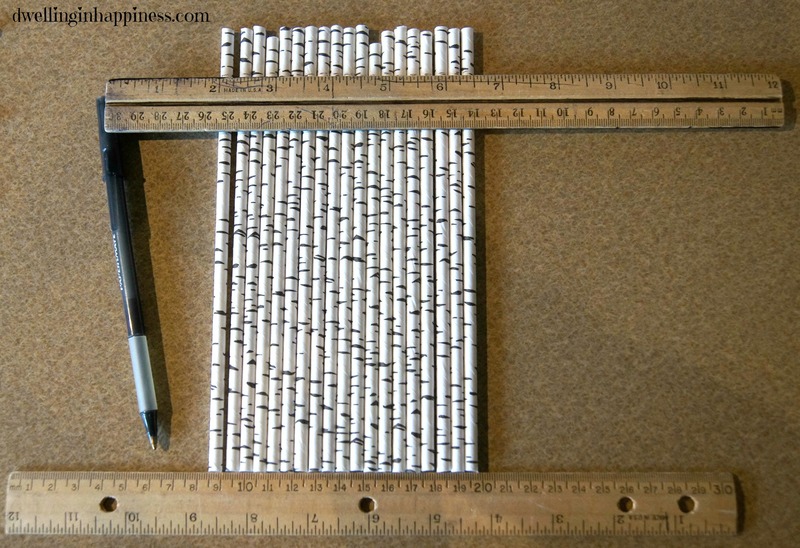 Those birch straws are AMAZING!!!! So cute! Thank you Bre! I was in LOVE when I found those straws! Oh, the possibilities! 🙂 Hope you’re having a fabulous weekend! 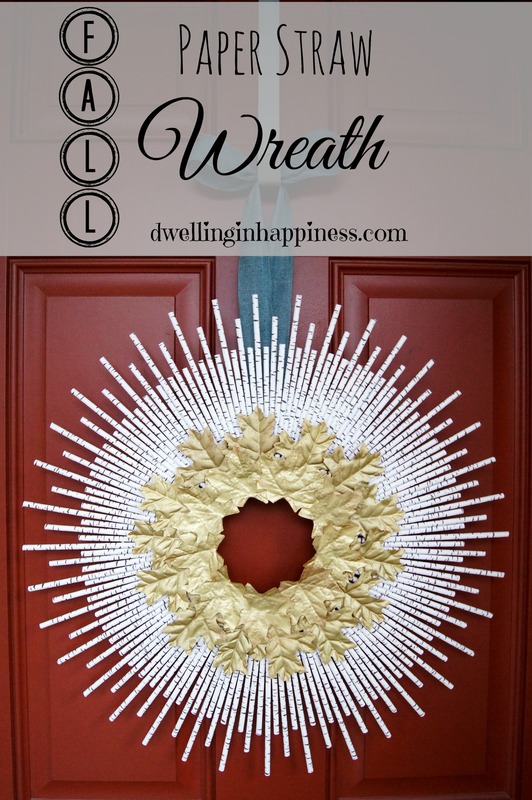 SUCH a fun wreath!!! SO creative Amanda!!! Thank you so much, Leigh Anne!! 🙂 Have a great week! This is incredibly creative. I love it! 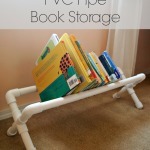 Pinning to use! Thanks for sharing such a great project. 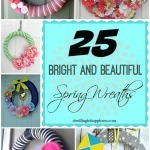 Amanda, this is a super cute and so creative wreath! I love everything about it! 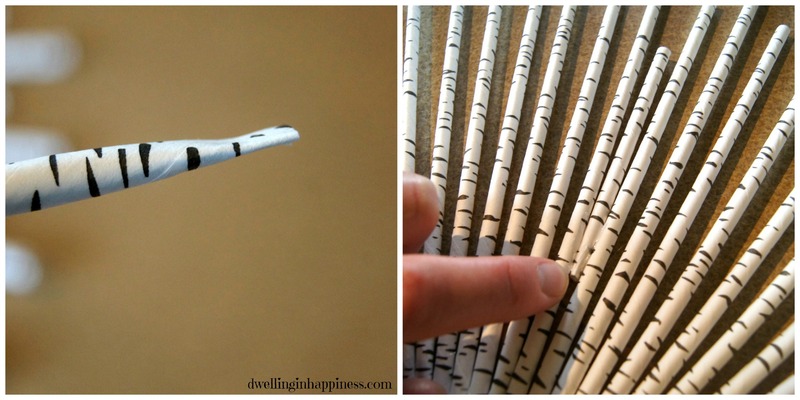 I freaking LOVE how the straws look like little birch trees! Dying. So. Cute. And don’t worry, I just made my fall wreath yesterday and it won’t even get posted to the blog till next week… ooops. 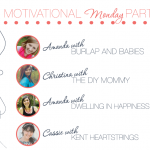 Erica recently posted…Think and Make Thursday Party 1! How freaking cute is this!!! Love it. 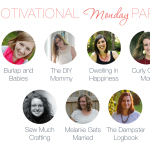 We are having a linky party, Mommy Needs a Timeout Thursday, and would love if you joined us (no babies required just excellent ideas for moms). We party until Saturday 8 pm EST. Hope to see you there! 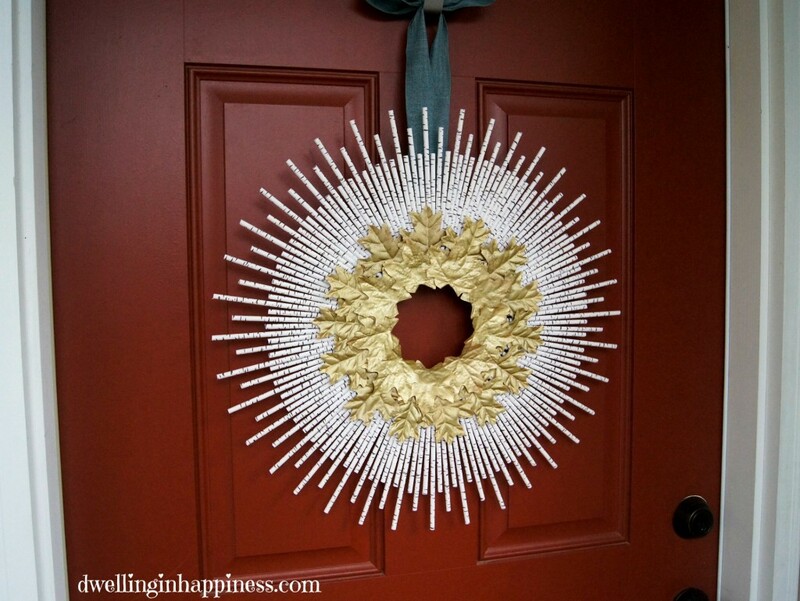 My favorite wreath I’ve seen yet this season, great use for those oh so cool straws, lovin it! Pinned and shared too! Thank you so much for this post! I was searching for an autumn project to do with my nine year old and this fit the bill perfectly. We had so much fun making it. 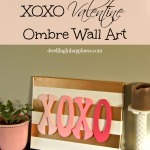 =) Really love your blog and the helpful tutorials. I posted the wreath we made using your tutorial on my blog at shaggycreations.blogspot.com. I would be honored if you dropped by for a visit. Valerie, you are SO so sweet!! Thank you so much for the kind words! I’m so happy you had fun making the wreath. I checked it out and it looks so wonderful! You and your daughter did a great job! 🙂 SO glad you stopped by and said hello!